Artensoft Photo Mosaic Wizard - Make Your Own Photo Mosaic! 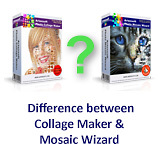 Artensoft Photo Mosaic Wizard builds perfect photo mosaics out of your own images in just seconds. Have great fun with friends and family, produce perfect photomosaics, and make unique posters in five easy steps! 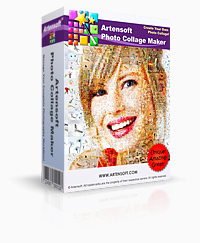 Artensoft Photo Mosaic Wizard is great for designing and printing photo wallpaper, producing exclusive collages, and building photo montages that look great from afar and perfect from up close. 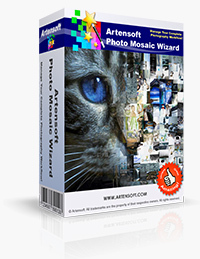 Artensoft Photo Mosaic Wizard is fully featured, usable, and affordable photographic mosaic software, with a free evaluation version available for free download. Get your free trial copy now! Create your Amazing and Unique photo collages! 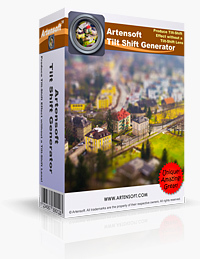 Artensoft Tilt Shift Generator is fully featured, usable, and affordable tilt shift software, with a free evaluation version available for free download. Get your free trial copy now! Artensoft Photo Editor manages your digital photo workflow from start to finish. Import, adjust, edit, batch process, catalogue, navigate and view digital pictures from a single tool. The new photo editor makes your photo workflow plain, easy and straightforward. 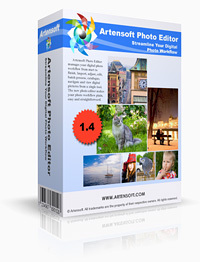 Artensoft Photo Editor is fully featured, usable, and affordable digital photo workflow solution, with a free evaluation version available for free download. Get your free trial copy now! Artensoft publisher © 2007-2019 Artensoft™. All rights reserved.